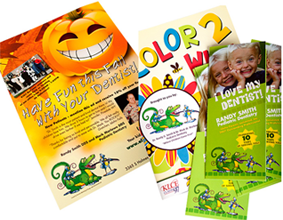 Brochures tell your story to your potential customers and is a great way to advertise your product/services. The strength of our design team allows us to deliver a broad range of print based graphics. By having a solid understanding of the target audience and product differentiators, we develop unique and compelling design solutions that clearly communicate the intended messages to the target audience. Combined with our creative graphic design, we offer the full spectrum of visual media solutions, from initial concept to print management and distribution. Brochure Design is often considered as a crucial marketing tool or short piece of advertisement, which can accelerate the growth of an organization by enlarging the scope of expansion as far as possible. Branding corporate identity through a booklet or pamphlet is the main purpose of good Brochure Design. Brochure Design can be of different types depending upon various issues such as its objective, its targeted audience, its structure and theme etc. By creating an enticing yet informative Brochure, the task of seizing the attention of potential clients can be executed with ease. A good Brochure Graphic Design can play a crucial role in consolidating the position of an organization in the brutally tough competitive market. As it is going to communicate the positive aspects of your company to the targeted customers or clients, your brochure has to be designed by a team of professional Brochure Designers. Our professionals can design a Brochure after perusing the purpose and requirements of a specific client. Meeting the requirements of a client without compromising with quality is the main objective of designing a brochure. Converting potential visitors into lead customers is the main objective of an organization. Though the concept of Brochure Design is slightly different from other types of Brochure Graphic Design, the basic objectives remain the same, such as raising profits and ensuring the stability of an organization. We analyze the ability and nature of an organization before adding finishing touches to a Corporate Brochure Design so that our clients can feel the massive power of words and images. © 2014 igladweb.com. All Rights Reserved. Website Designed, developed, and created just for you. Enjoy!